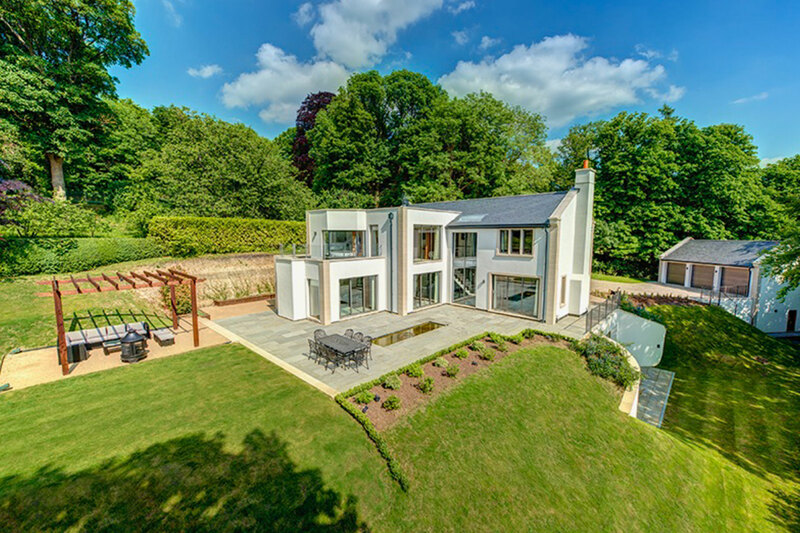 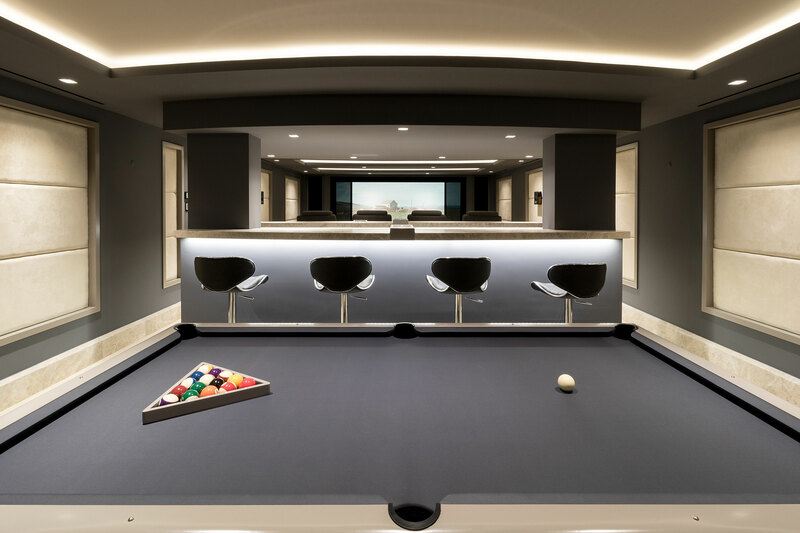 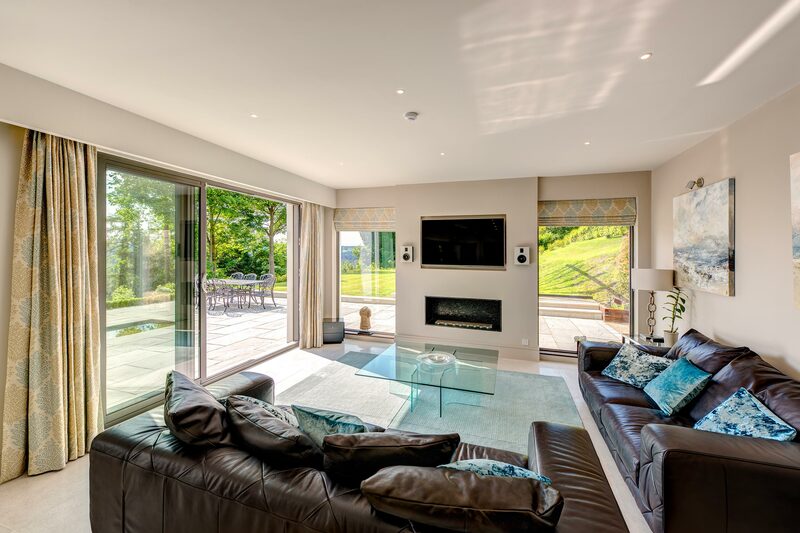 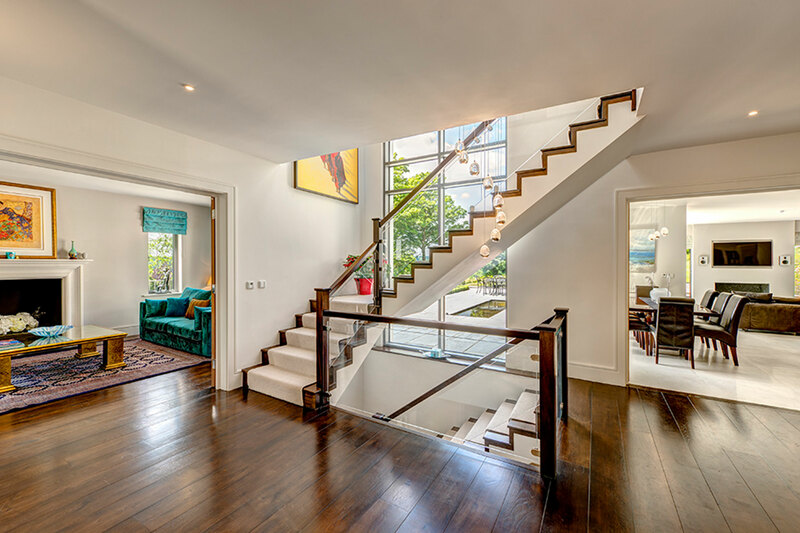 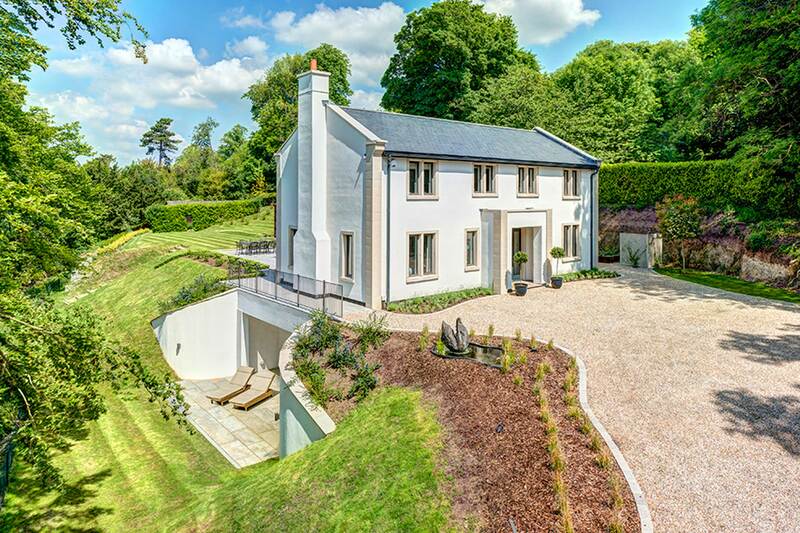 The client required a complete intelligent home with control for lighting, heating, blinds, gate entry, surveillance, security , water features and air cooling systems. 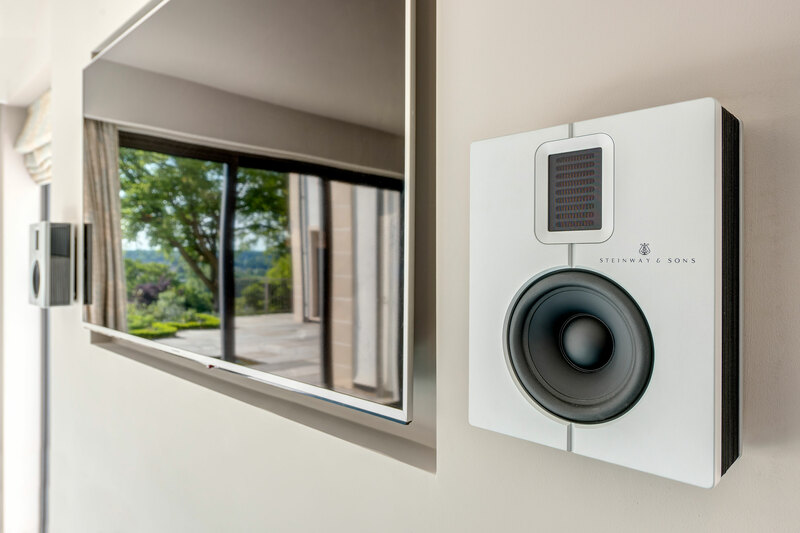 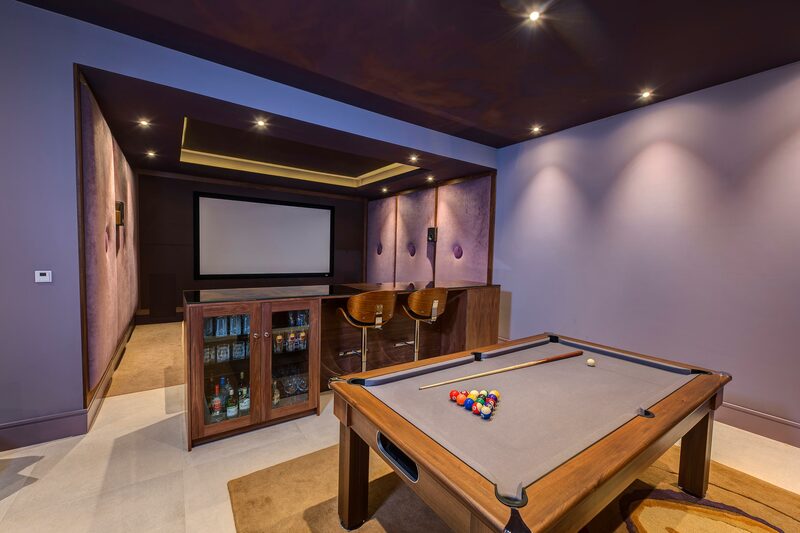 The audio visual requirements were for a high class sound system for the main den kitchen area, quality ceiling speakers for the gym and 8 speaker garden system. 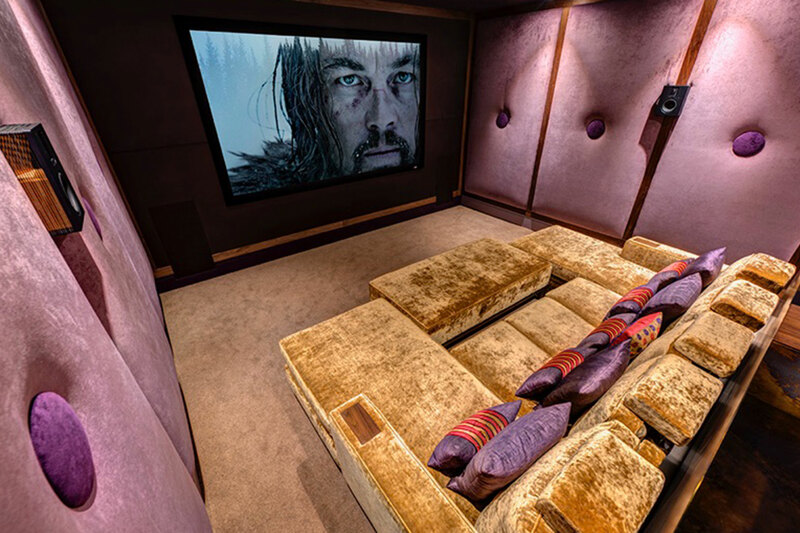 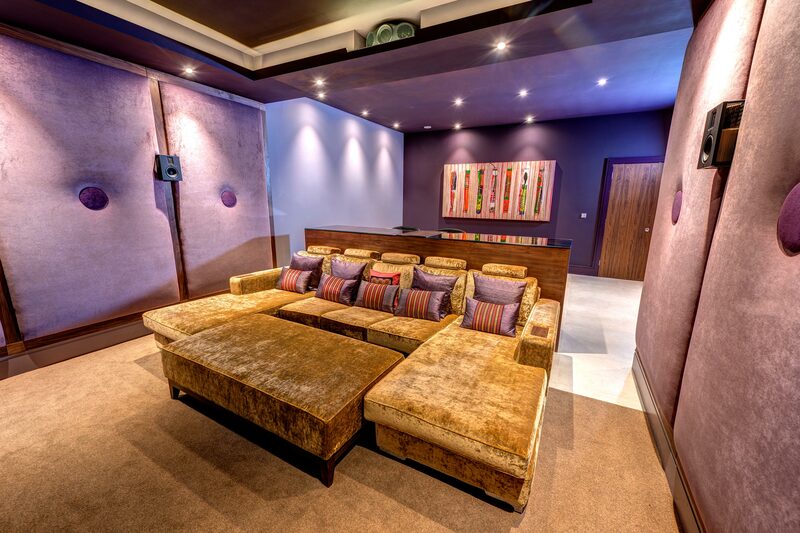 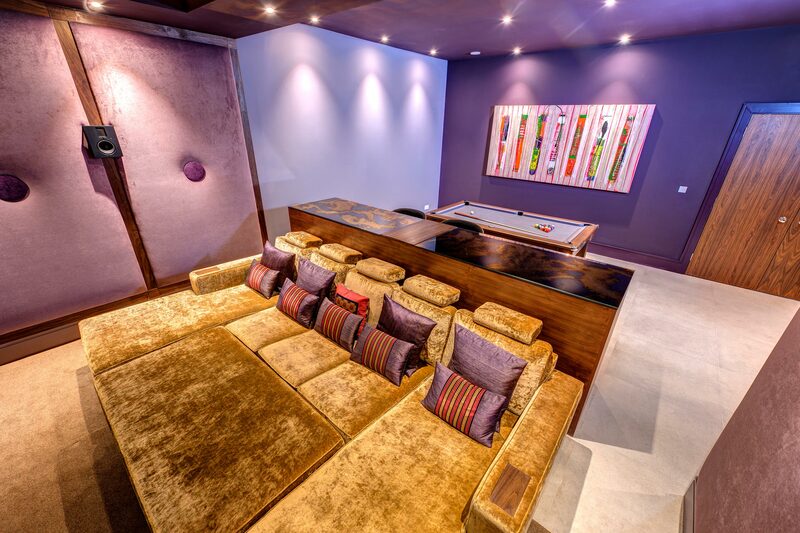 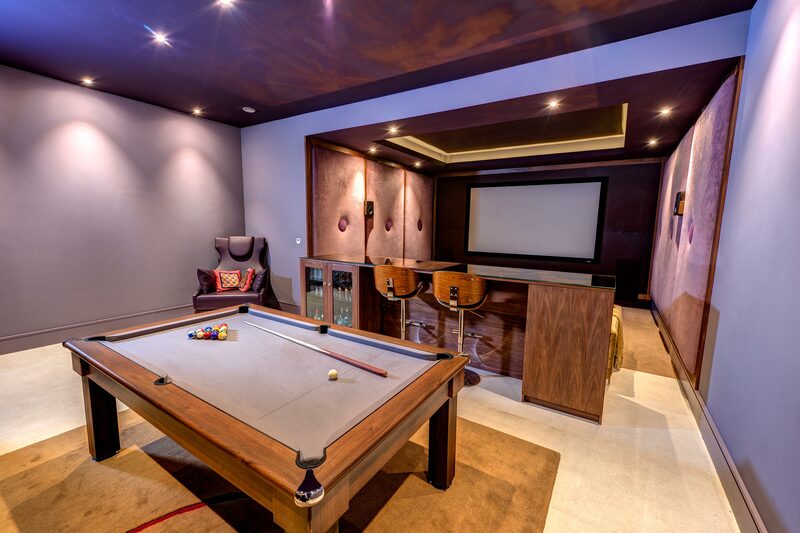 A home cinema entertainment area with bespoke designed cinema sofa automated cinema controls with 4K sound and vision.